Spend Less Time Looking for things to do on your Lake Garda Holiday and more time doing them! Lake Garda diverse in terms of landscape, culture and tradition, find out which town matches your holiday requirements! Sightseeing and winetasting tours in Lake Garda, the Dolomites, Venice, Verona and Florence! Keep up to date with Lake Garda events and activites, traditions and culture, read the Summer Garda Magazine! Buy discount tickets to some of Lake Garda’s premium attractions including Gardaland, Caneva World and the Sealife Aquarium. But bus tours, boat tours and even tickets to the opera and the Verona Arena! Surprise your girlfriend with a dream wedding proposal on Italy’s most romantic lake. We’ll help organise any special occassion, landmark birthday, wedding anniversary …….anything, contact us today! Events run throughout the year in Lake Garda, but the summer calendar is especially busy. Wine tasting, cultural, music, sports and gastronomy…..subscribe now and keep up to date with events during your holiday! Beaches, watersports, excursions, castles, music, museums, walking, climbing, canyoning, tours and much more, there’s something for everyone! Of the 20 wine producing regions in Italy, 3 border the shores of Lake Garda, which makes Lake Garda the perfect location to explore Italian wine. When you think of ‘Italy’ you immediately think of ‘food’. Lake Garda food has influences of three regions, with fantastic restaurants set in wonderful locations! When you are about to go on holiday, the anticipation of the new experiences that await you makes you very excited. You look forward to discovering new places, finding new things to see and do, eating different food in new restaurants, exploring a new culture. Or maybe, like us, you fell in love with Lake Garda and have broken your habit of never to return to the same holiday destination. We don’t blame you……Lake Garda is so enchanting and has so much to offer that future visits are a necessity, if not to do the things you didn’t get done on the first visit, then to revisit the place you fell in love with. Our aim is to help make your holiday special, by providing you with information of the many things to do in to Lake Garda. I’m sure these pages will intensify your anticipation, as you read about some of our favourite Lake Garda restaurants, walks and cantina’s. We will tell you about some of the fantastic activities that you can include in a holiday to Lake Garda such as golf, wakeboarding, canyoning and fishing. Find information on holiday properties, recipe ideas for relaxed evenings in, book reviews for your holiday read, language tips to help endear you to the locals. We want to create a community for people who lovelakegarda and your contribution to the site will be greatly appreciated. We invite you to go to the pages to leave comments and join in the polls, write reviews of our restaurants and golf courses, and tell us about the ones that you discovered. Why not go to the blog page and tell us about anything that you did on your holiday that others should know about. Whether it’s a place you visited, a vineyard you discovered, a beach you uncovered, your favourite dish, a recipe ideas or a book you read, we would love to hear about it. Also, feel free to ask questions, maybe you want to find out a specific piece of information that is not included in our pages, we may not know the answer right away, but if we can help we will. 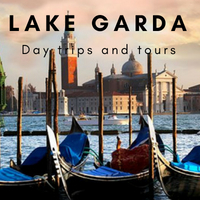 Click here to find out more about Lake Garda. Click the Follow button down in the right hand corner to get updates sent directly to your inbox. We look forward to hearing from you. Having recently spent four superb weeks in the Lake Garda region, we found this site most helpful. Having sampled the delights of some of the marvellous’ Ristoranti’ ‘ recommended here and visited many of the local attractions, we would confidently commend this site to any prospective holiday maker! With an event as personal and important to me as getting engaged I wanted everything to perfect: the right location, the right restaurant, the right people and for everything to run smoothly. Roy delivered this and more. He created a day in Lake Garda that was unrivalled, with local services and experiences I wouldn’t have discovered without him. It must have been good, because she said Yes. An occasion only matched by the tremendous support and relentless organising that I received from Roy at Love Lake Garda. I have been trying to find the perfect sentence to sum up how the kindness and professionalism of Roy and Love Lake Garda provided me with the happiest day of my life (so far).